If the business office wishes to continue to process using their staff, the function should be centralized and assigned to a core group of processors to fulfill all requests. This will help minimize administrative burden from the billers and collectors. Centralization also promotes consistent, standardized processes. These dedicated business office staff should be thoroughly trained in proper PHI disclosure management to maximize efficiency, eliminate redundancy and mitigate risk of HIPAA breach for requests that may fall outside of TPO such as itemized bills for outside attorney requests. A number of national firms, including MRO, provide Release of Information services to process payer requests. MRO’s services for business office disclosure management ensure timely delivery of information to payers, full compliance with HIPAA guidelines, and around-the-clock staffing to avoid backlogs or delays. Careful and strategic tracking of information released, to whom and why, will make the PHI disclosure process more efficient. If your organization needs to improve this process, you should consider: centralization, delegating work to HIM or outsourcing PHI disclosure management. By implementing these alternative workflow options, your organization will be taking the right steps towards improving billing processes and decreasing denials. From encoders to Electronic Health Records (EHRs), Health Information Management (HIM) professionals are often tasked with enterprise-wide project management including new technologies, changing workflows and centralized operations. These massive projects require strong HIM skills, expanded partnerships and greater collaboration among vendors, HIM, IT and others. With leadership skills, specialized education, and peer-to-peer relationships, HIM professionals are perfectly positioned to promote collaboration among all stakeholders, secure executive support, ensure timelines are met and cover every detail of an enterprise-wide initiative. A few months ago, I moderated a roundtable discussion with three HIM experts: consultant, Pat Biesboer, RHIA, MSS, PMP; Susan Carey, MHI, RHIT, PMP, FAHIMA, System Director of HIM for Norton Healthcare; and Emilie Sturm, MA, RHIA, CHPS, Senior Revenue Management Consultant for Trinity Health. They each discussed mapping out enterprise-wide projects, such as PHI disclosure management and how to meet milestones and resolve common challenges. You can find the full discussion, “Using HIM Skills to Lead Enterprise-Wide Projects: An Expert Roundtable,” in the February 2018 issue of Journal of AHIMA. Provide concise, timely, and honest communication. Keep people motivated by injecting fun into your discussions. Keep the current status in front of stakeholders according to a regular schedule, providing the degree of detail they need. Have realistic expectations and transparency. If difficulties are expected, prepare the team ahead of time. This will help build trust. Follow stated goals. Guide your team toward the goals you established. When you run into blockers, review your options. Objectively provide the background, options, rationale and a recommended direction to maintain forward progress. Conduct reference calls with organizations using any technology you are considering. HIM needs differ from those of other departments. Current users can suggest ways to configure applications to best meet your needs and save valuable implementation time and resources. 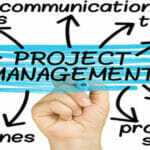 Perform as a project manager with HIM knowledge. Project managers are valuable when they have subject matter expertise and can develop subsidiary plans within the overall project management plan. Have the right stakeholders at the table when starting a project. Due diligence should be conducted to map out all areas of the project and determine vested parties. Having the right team on board provides for a productive group of multidisciplinary professionals with varying expertise. Identify lessons learned during each phase of a multiphase project. With a multiphase project, such as a system rollout, identify lessons learned during each phase. When possible, incorporate those lessons into the next phase for a stronger outcome. As your timeline allows, be flexible and don’t hesitate to post-pone a go-live if critical goals are not yet achieved. Communicate often with your project team and stakeholders. For HIM-driven projects, it’s critical that the local HIM director communicates with key constituents or peers. Establish regular meetings over the course of each project or expand your schedule if necessary. Disseminate project management tools such as timelines and meeting minutes to the project team. Regularly review the project plan to monitor progress compared with the overall timelines. Though HIM professionals have always managed projects, enterprise-wide endeavors raise the bar for communication, organization and leadership. HIM professionals have unique abilities to manage enterprise-wide projects. More importantly, HIM professionals can help team members solve problems, achieve their goals and enjoy the journey.